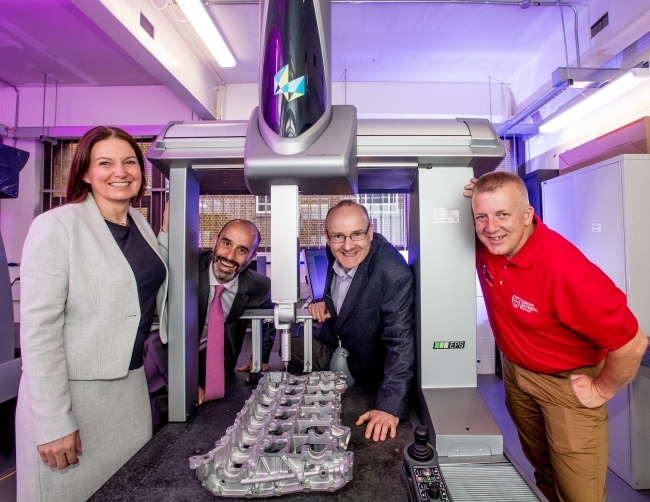 Professor Mark Price, Pro-Vice-Chancellor for the Faculty of Engineering and Physical Sciences at Queen’s, said: “I am delighted to announce the opening of our £7.5million advanced manufacturing technology facility, based at the Northern Ireland Technology Centre (NITC) at Queen’s. Professor Seán McLoone, Director of i-AMS at Queen’s, added: “Addressing the challenges of Industry 4.0, the centre and facility are spearheading the computerisation of manufacturing. This includes the use of advanced data analytics, machine learning, intelligent system and autonomous robotics concepts, digital manufacturing and human-robot interaction. Professor Price concluded: “The advanced manufacturing technology facility at Queen’s will enable the local industry to be more competitive through the optimisation and digitisation of manufacturing processes, including automation. It also paves the way for more productive, flexible, resilient, responsive and energy efficient manufacturing systems and associated supply chains. This means we can drive down costs, improve product quality, minimise waste and ultimately increase productivity and competitiveness.